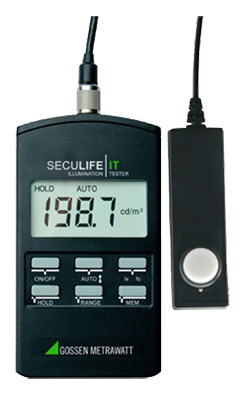 The SECULIFE | IT (Germany) is a high-precision luxmeter for use in hospitals and medical practices. 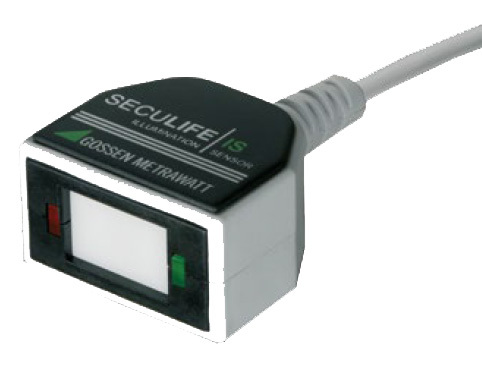 Due to its outstanding accuracy in accordance with class B, theSECULIFE | IT-B is used primarily for certification and inspection applications. An additional measuring range with a high initial sensitivity of 0.01 lux makes it possible to measure extremely small illumination intensities. This even allows for reliable measurement of emergency lighting. With accuracy in according to class C, the SECULIFE | IT-C is used primarily for general applications as an industrial measuring instrument. The smallest of four measuring ranges begins with an initial sensitivity of 0.1 lux. V(λ) matching deviation, which amounts to f1' < 7.5%, is considerably better than the permissible error limit for class C.
As opposed to the SECULIFE | IT-B/IT-C , the class C SECULIFE | ITBASE doesn’t have a USB port. 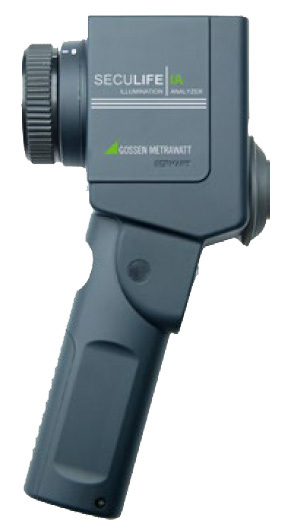 Great emphasis is placed upon reliability by means of calibration at GOSSEN For purposes of substantiation, a factory calibration certificate or a DAkkS calibration certificate can be ordered along with either variant. Monitor screen luminance can be precisely measured and documented with the help of the SECULIFE | IM (Germany) precision measuring instrument. Excellent matching to the spectral brightness sensitivity of the human eye V(λ) is highly precise with minimal deviation of just f1' < 3%, which is significantly better than specified in the standard. The included adapter disc protects the meter from light leakage from the side during measurement, and the velvety coating prevents scratching of self-luminous and transilluminated surfaces. In industrial, commercial and service applications, luminance can be measured at monitors of any type, TV screens, light tables, trough luminaires, illuminated advertising surfaces, traffic signs and viewing screens. 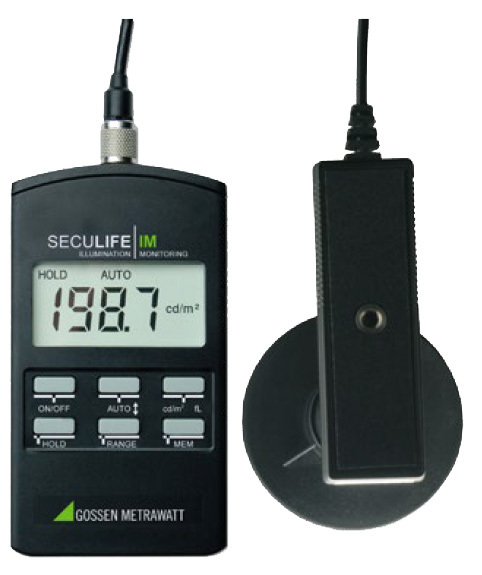 The SECULIFE | IA (Germany)is a precision instrument for the measurement of luminance with a measuring angle of 1°. Luminance measurements at distances of 1 m to ∞ can be performed with the instrument. Close-up lenses available as accessories make measurements at distances of 34 to 50 cm or 51 to 100 cm possible. The SECULIFE | IA (Germany) features mirror reflex optics with a 15° field of view, a sharply marked 1° measuring circle in the center and a focusing mechanism. Luminance can be measured directly at displays with the help of the optionally available probe for contact measurements. This permits testing of the homogeneity of monitor displays, as well as measurement of the homogeneity of multi-display systems. The light sensitive sensor is color corrected, i.e. its spectral sensitivity is matched to the spectral luminous efficiency of the human eye in daylight V(λ). Classification of luminance meters is specified in DIN 5032, part 7, and DIN EN 13032, appendix B. The SECULIFE | IA (Germany) fulfills class B requirements in accordance with these standards. The instrument is equipped with a measured value memory module with up to 1000 memory locations which can be read out and processed either directly via the keypad and display, or via the integrated USB port with the help of the included standard software. The SECULIFE | IS (Germany) has been developed specifically for interior light monitoring and fulfills the latest requirements in medical settings. The SECULIFE | IS (Germany) simplifies quality assurance for diagnostic monitors and medical viewing devices in the field of medicine in accordance with DIN 6856-1. It assures constant illumination and performs interior light monitoring at diagnostic workstations in accordance with DIN EN 61223-2-5 (QS-RL dated 20 Nov. 2003), DIN V 6868-57 / 6868-157. 3 models are currently available with measuring ranges including 20 to 60 lux (SECULIFE IS) 10 to 50 lux (SECULIFE IS RK1) and 50 to 100 lux (SECULIFE IS RK2). This makes room classification monitoring possible in accordance with the new DIN 6868-157 for classes 1 and 2, as well as for class 5 (diagnostics in the field of dentistry).